Cereal has been on my mind ever since I had a Cinnamon Toast Crunch Sweet Jesus cone at Home of the Brave. So good. So genius! 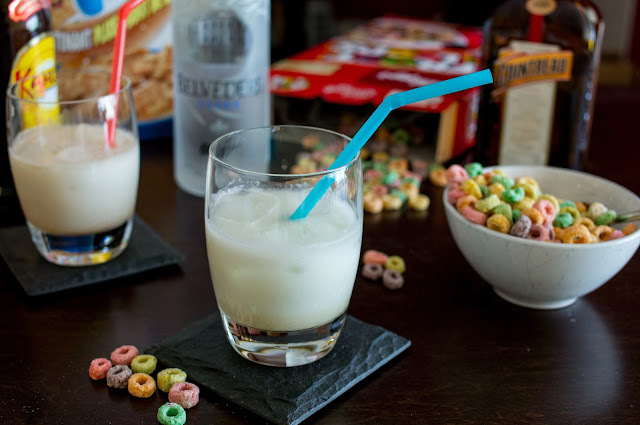 I should make cocktails with cereal! 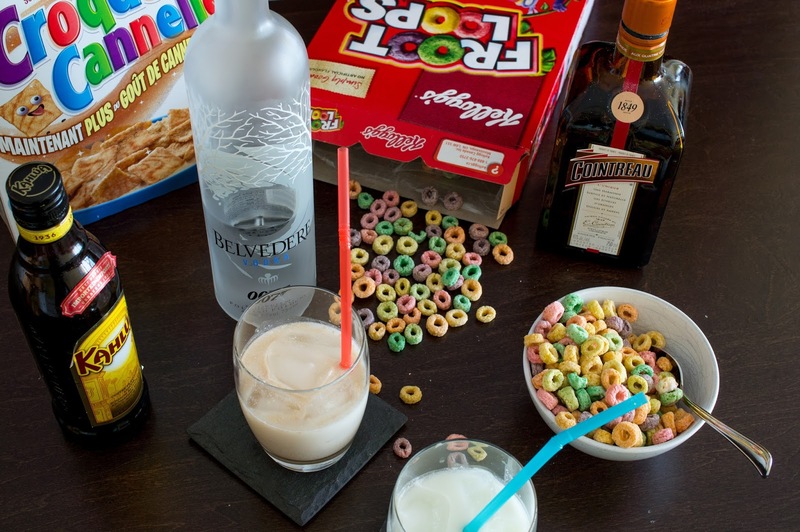 But what kind of cocktail would be good with cereal? The White Russian of course! I always wanted to try the Froot Loops with White Russian that they serve at Clark Hall Pub at Queen’s. I should make something like that… except better! Of course, Froot Loops are a given, but I can’t just try one variation. Let’s do Cinnamon Toast Crunch too! Better buy some Corn Pops too… for later. Armed with three boxes of cereal I got to work. First, I needed to make the cereal milk. I tried various methods, but in the end, just soaking the cereal and then pressing the liquid out was the best way. I can’t use as much Kahlua as usual, that’ll drown out all other flavours. Let’s skip the Kahlua altogether. Nope, that just tastes like vodka, and despite my Polish heritage, that is not good news. It needs to be sweeter. It’s sugary cereal after all! Now it’s sweet, but doesn’t really taste like the cereal at all. Needs something to bring out the flavours. How about a little bit of Kahlua? 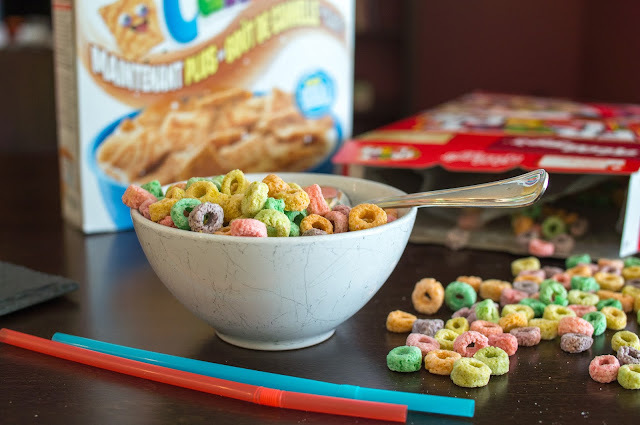 The cinnamon toast crunch one is delicious, but the Froot Loop one is still no good. 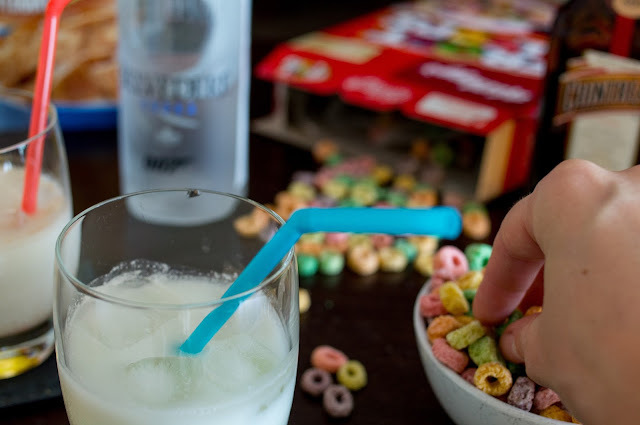 Maybe it just doesn’t really work with Froot Loop milk? Yes! Cointreau does the trick. It totally tastes like Froot Loops! This is the best! If you ever wanted a cocktail to bring out your inner kid, this is the one. 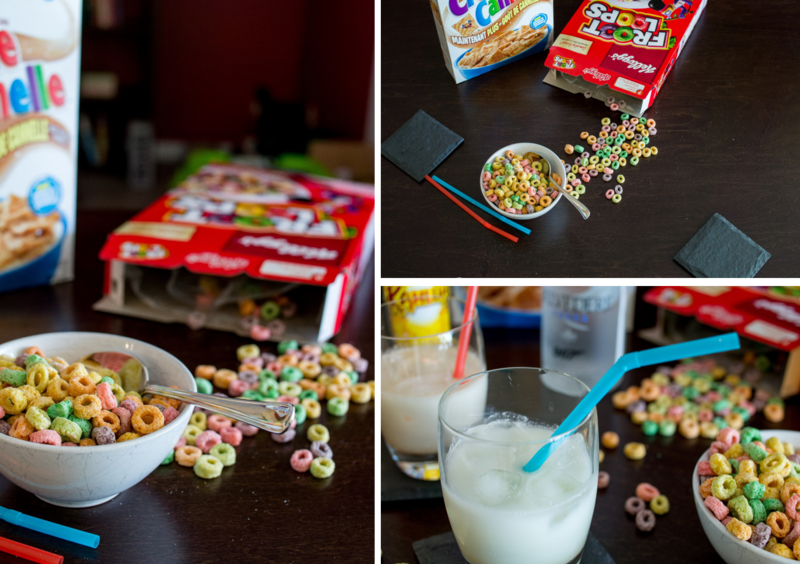 Try it with other cereals and share! Slurp it out of a bowl. Probably shouldn’t have it for breakfast though. In rocks glass filled with ice, combine all ingredients and stir. Soak cereal in milk until very soft, about 30 minutes. 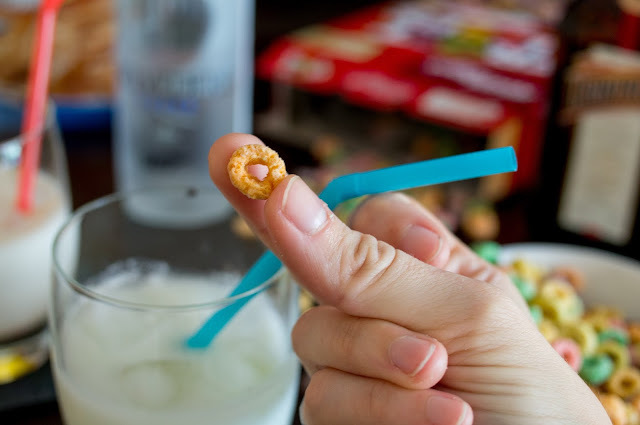 Strain, pressing the liquid out of the cereal. Stop before any thick soggy cereal starts going through the strainer.